Riley Lynn has become our one armed bandit. 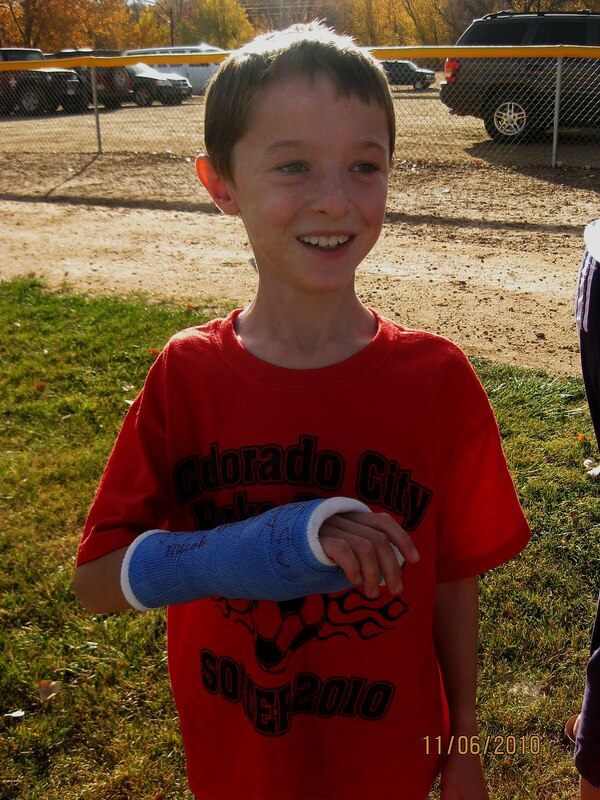 He broke his thumb during a soccer game and is in a cast for the time being. He is amazing with it as he learns to do everything left handed. The sad side was that he had to miss his last 3 soccer games which he loved but that is the way it is. As Riley handles everything he is taking this in stride!